Crimson Sweet Watermelons are a long-standing favorite summertime treat that are well known for their juicy, mouth-watering taste with its deliciously red fruit encased by a stunning green shell. Crimson Sweet melons average 25 pounds. 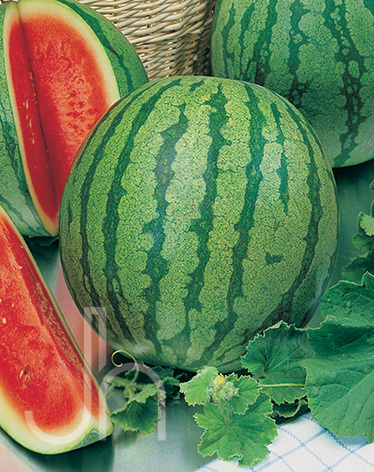 Click here to buy Crimson Sweet Watermelon direct from www.buygardenvegetables.com.